In the fourth quarter, GM's adjusted earnings, before interest and taxes, increased 19 per cent to US$3.09 billion. 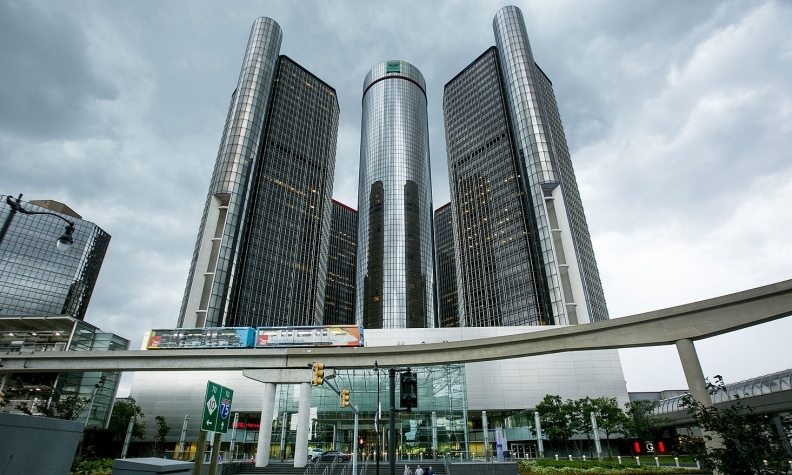 DETROIT -- U.S. tax reform caused General Motors to report a loss of $4.9 billion (all figures USD) for the fourth quarter, while the company achieved record operating profit for the period. Without the $7.3 billion noncash charge related to the tax overhaul, GM's net income would have increased by $1.9 billion compared with the same period in 2016. "The important aspect is to look at the operating results," GM CFO Chuck Stevens said on Tuesday with the release of the quarterly report. In the fourth quarter, GM's adjusted earnings, before interest and taxes, increased 19 per cent to $3.09 billion, and its global margin increased 1.7 per centage points to 8.2 per cent. Revenue declined 5.5 per cent to $37.7 billion due to lower volumes in North America. For the year, the automaker's adjusted earnings, before interest and taxes, equaled its $12.8 billion record from 2016, while net income plummeted 96 per cent to $300 million largely due to the tax changes and a largely noncash charge of $6.2 billion from the sale of its European operations. Regions: North American earnings increased 7.3 per cent to $2.9 billion in the fourth quarter. The company's international operations earned $416 million, up from $223 million in 2016. Finance: GM Financial reported earnings of $301 million, up 85 per cent from $163 million a year earlier. Operating profit margin: The North American margin for the year was 10.7 per cent -- the third straight year above 10 per cent. Risk factors: Stevens said GM is "not overly concerned" about the prospect of hyperinflation and the economy overheating, which has sent stocks tumbling in recent days. General Motors Canada’s earnings are part of the automaker’s North American total and not reported separately. In terms of Canadian sales, they were up 3.5 per cent in the quarter.